These two books have had plenty of attention so I'll just give them a quick mention..............loved them both! New York City, 1845.......when a fire wipes out his home, his savings and his workplace, Timothy Wilde becomes a 'copper star', a member of the newly formed police force. He is assigned to the Sixth Ward, a poor area where crime is rampant and the ever-growing number of immigrants struggle to survive, and soon becomes involved in the hunt for a child killer. I have to confess I saw this book on the library shelves several times but never got further than the title. The only thing I associated Gotham with was Batman so I was sure it wouldn't be for me. Last month I picked it up and the blurb on the back convinced me to give it a try........and it was fantastic! I loved the writing - the author has a wonderfully descriptive turn of phrase that made the sights, sounds and smells of 19th century New York very real. I had much to learn about the politics and corruption within the city and those real excerpts from newspapers and articles of the time at the beginning of the chapters were chilling. I had no idea that the feeling against Roman Catholics was so strong. I enjoyed the central crime story but it was the historical background that made reading The Gods of Gotham so worthwhile. On the morning of his fifth wedding anniversary, Nick Dunne's wife Amy suddenly disappears. These days I tend to avoid overly-hyped titles but I am a lover of psychological suspense stories so this one did intrigue me. I was fortunate that the first mention of it in Google reader was a post from a blogger who suggested the less one knows about Gone Girl before reading, the better. Excellent advice that I'm glad I listened to, I ignored all reviews and for once the hype didn't lead to disappointment. Dark, twisted and diabolically clever. A first rate psychological suspense thriller that will keep you guessing all the way through! 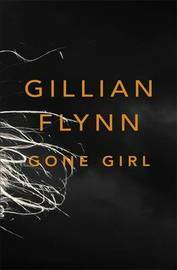 I read Gone Girl cause I like Flynn's writing. She did not disappoint. I haven't read anything else by GF but will be looking out for previous titles. I thought Gods of Gotham WAS about Batman, looks like I was completely wrong! I like the sound of it though, could be interesting with all the politics and corruption. :-)....glad I'm not the only one that thought along those lines.